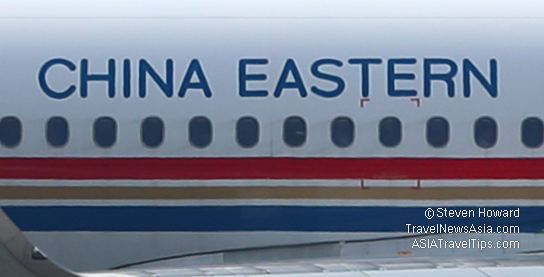 China Eastern Airlines has started operating Airbus A350-900 aircraft on its Shanghai - Rome flights. Flight MU787 is timed to depart from Pudong Airport, Shanghai at 12:35 and arrive at Rome Fiumicino Airport at 19:10. The return leg, flight MU788, is scheduled to depart from Rome at 21:10 and arrive at Shanghai Pudong Airport at 14:35 the following day. China Eastern's Airbus A350-900 has 288 seats, including 4 Luxury Business Class seats equipped with two movable sliding doors that can form an independent private compartment when closed. There are 36 Business Class seats with a length of 196cm when fully flat, equipped with a mini bar and 18-inch display with Bluetooth headset module. The aircraft also features 32 Premium Economy Class seats and 216 Economy Class seats, all equipped with 4D headrests, power supply and a 13-inch display. In 2018, Italy attracted more than 2 million Chinese tourists and has quickly become one of the most popular tourist destinations for Chinese tourists in Europe. See latest HD Video Interviews, Podcasts and other news regarding: China Eastern, Airbus, A350, Shanghai, Rome.